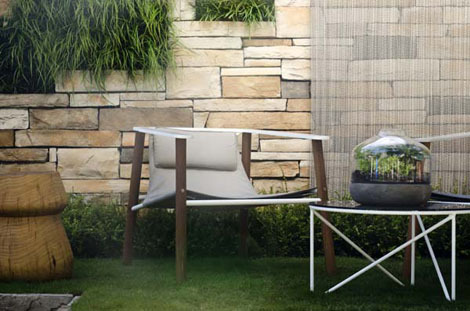 In a design inspired by Dutch painter, Piet Mondrian, a student entry at this year’s Melbourne International Flower and Garden Show(MIFGS) has incorporated Boral Cultured Stone® cladding as a key design element. 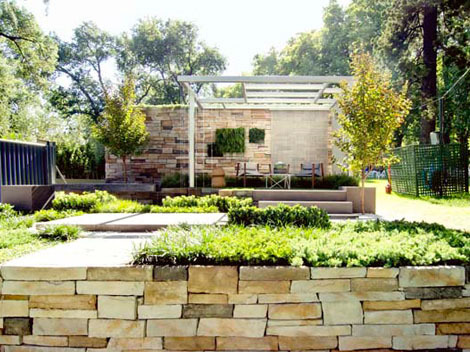 One of four emerging garden designers chosen to participate in the Landscaping Victoria competition, PetaDonaldson of Mount Martha, Victoria, used Cultured Stone in Country LedgestoneAspen to add dimension to her grid garden design. Sponsored by the Country Fire Authority (CFA), each entry in the competition had to create a garden that incorporated bushfire management in the design. 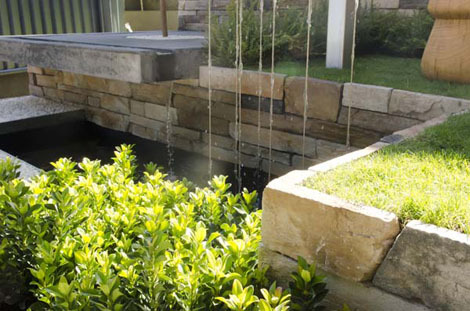 Donaldson’s garden featured a wall of Boral Cultured Stone, decorated with vertical gardens, at the rear of the garden, offering another textural element whilst providing protection against the elements. “To meet the CFA’s principles of design for the suburban garden, I used separation and layering within the garden with different materials such as low vegetation, inflammable mulch, pavers, lawn, water, concrete and stone,” said Donaldson. Boral Cultured Stone cladding has been cleverly engineered to look like traditional stone and is an affordable and adaptable manufactured stone product for internal and external projects. To locate your nearest Boral stockist, to receive brochures or to learn more about our products, call 1300 134 002 or visit our website at www.boral.com.au/stone.